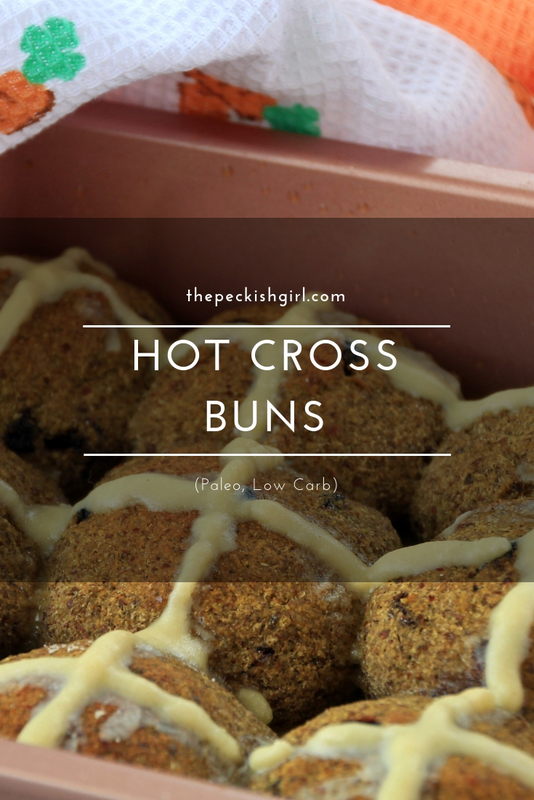 Hot Cross Buns (Paleo, Low Carb) which are made out of whole clean ingredients (including a veggie), but still taste like the real deal. Cut the zucchini in small pieces and put it in a blender, add the eggs and all spices, salt and sweetener and blend together. In a bowl mix the coconut flour, lsa mix and psyllium husk. Pour in the egg mixture and mix everything together. Then pour in the boiling water and quickly mix everything. Lastly mix in quickly the dried fruit. 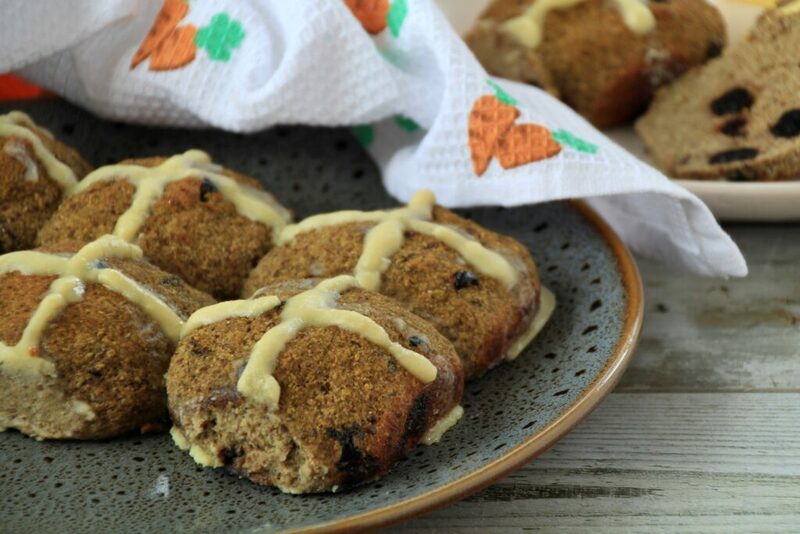 With your hands make about 9 small buns out of the mixture, place them on a greased baking dish and place them into preheated oven on 170 C.
Let the hot cross buns cool completely before making the cross. Melt the cocoa butter and stir in the coconut flour. Transfer the mixture in a piping bag and make the cross over your buns. Serve the buns as they are or slightly toasted with butter. 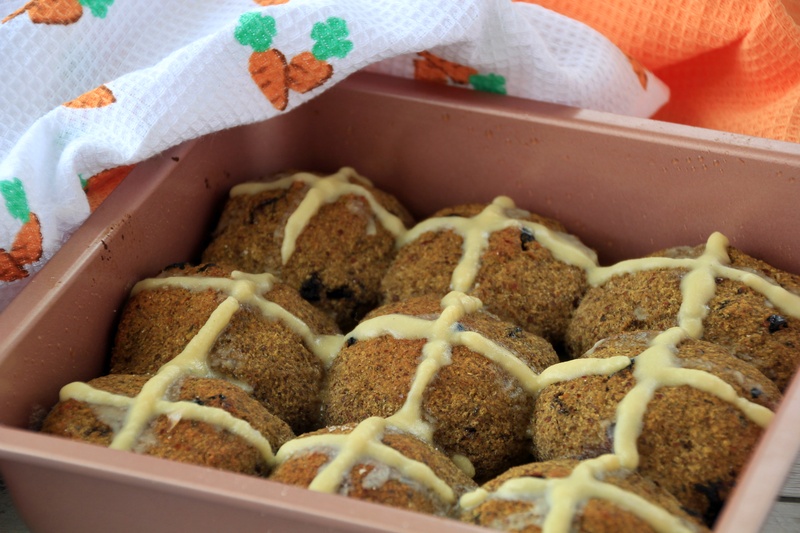 I toast them in a frying pan to avoid the cross to melt. 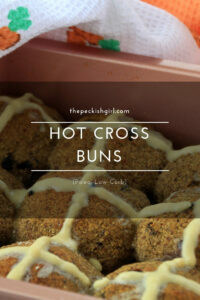 Keep the hot cross buns in a fridge for up to 3 days. Looking for more holiday inspiration? Check out my other Easter recipes.